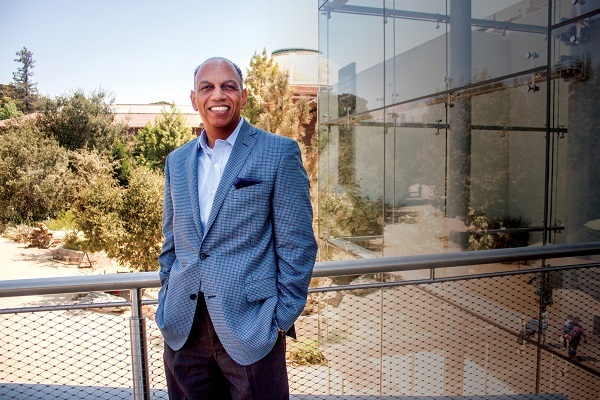 For the first time in nearly 105 years, an African American will head the Board of Trustees of the Natural History Museum of Los Angeles County (NHMLA) with the election of L.A.-area civic leader Shannon Faulk as president. In this position, Faulk will work with NHMLA President Dr. Lori Bettison-Varga in leading NHMLA’s 10-year program to revitalize the institution’s facilities in Exposition Park, the La Brea Tar Pits and Museum in Hancock Park, and the William S. Hart Museum in Newhall. The historic selection is actually a natural progression for Faulk, who has served on the board since 2008. 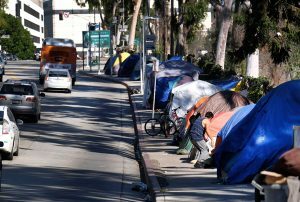 Initially appointed by then-L.A. County Supervisor Yvonne Brathwaite Burke, he was later reappointed by County Board Chairman Mark Ridley-Thomas. During his tenure, Faulk has participated in several committees and board leadership roles including serving as co-chair of the Board Affairs Committee. He was also a member of the Executive Search Committee, which brought Bettison-Varga to the institution in 2015. 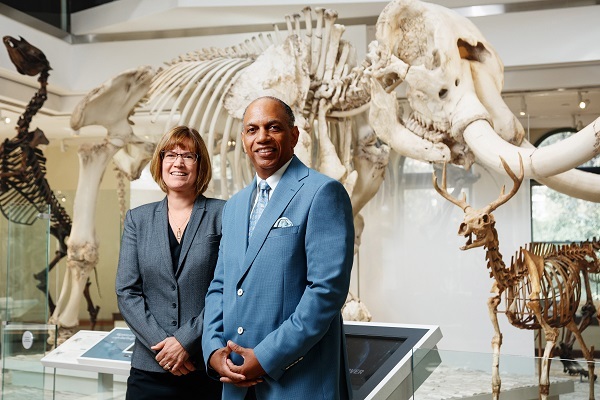 “I have known Shannon Faulk for many years, and know how capably he can empower and engage people and I think he is the perfect leader for NHMLA working alongside Dr. Lori Bettison-Varga,” said Ridley-Thomas. As part of reconnecting the public to the museums, Faulk will invest time to promote NHMLA’s ongoing transformation. Over the past ten years, the Exposition Park museum has restored or renovated nearly half of its 220,000 square feet of public space. Five new permanent exhibitions have opened and parking lots and hardscape changed into a new nature destination and learning environment. In addition, visitors continue to flock to NHMLA’s world-renowned Ice Age fossil site and museum at the La Brea Tar Pits and Museum in Hancock Park, and the William S. Hart Museum in Newhall, which features Western art and memorabilia of the early Western film industry in Southern California. Faulk hopes both the new and current attractions will increase the number and the diversity of visitors. Nearly 1.3 million people toured the three museums last year including 200,000 schoolchildren, who visit free. The minority demographics break down to 40% Latino, 7% African American, 8% Asian-Pacific Islander, and 1% Native American, which greatly exceeds the national level of 9% percent of minorities who visit museums across the U.S., according to the Center for the Future of Museums. 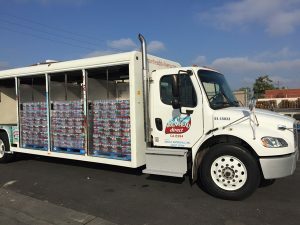 Outlining how he hopes to raise the African American percentage, Faulk said, “One of the areas we can do it is through education and partnering with different schools throughout Southern California. “Their (children’s) first trip to the museum is not necessarily physically coming to it. We can do different exhibits out in the community,” he said, adding that this fall, NHMLA will sponsor a hands-on science exhibit at the Stone Hills Nature Center in Baldwin Hills. “We want to bring the museum to all areas to show we’re not an elitist institution,” he noted. Appearing elitist certainly doesn’t apply to Faulk. A native of Berkeley, California, he graduated from both San Francisco State University and the Historically Black College and University (HBCU), Clark Atlanta University. After executive sales management and development positions at the Pitney Bowes Corporation and an internet company, he established an independent insurance agency through the Farmers Corporation, where he focuses on providing insurance and financial services products to urban-based community businesses and the private sector. A resident of Inglewood, Faulk is active in several community groups. 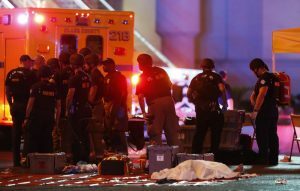 He also serves on the board of Kappa Alpha Psi fraternity, the Christian Methodist Episcopal Church, and the Californian State Democratic Convention. 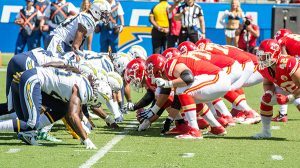 “I enjoy all of the things I’m involved in and I think it’s very important to give back to the community. That’s my upbringing. 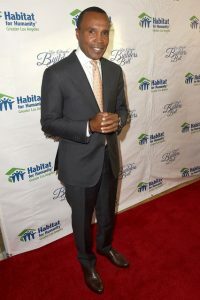 It’s important to stay connected, be engaged and try to help as many people as you can because people have different life experiences and everybody doesn’t start off at the same stage in life,” he explained. And helping others will be a guiding principle for Faulk as president of the NHMLA Board of Trustees. “People want to attend the museum for multiple reasons, so we have to make sure that we’re fresh and staying engaged with the community,” he said. To learn more about Faulk and the Natural History Museum of Los Angeles County, visit nhm.org.